Xiaoqiao Wang is currently an Assistant Professor in School of Management and Economics, CUHK (SZ). 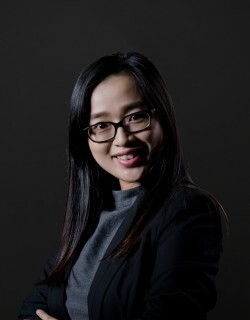 She received her MSc and PhD degree in finance from the Smith School of Business, Queen’s University, Canada and held her BA in economics from Renmin University of China. Before joining CUHK (SZ), she worked as assistant professor in Nanjing University and she also worked as summer analyst for Deloitte Consulting and China Export & Credit Insurance Corporation. Her research focuses on empirical corporate financial strategy, including international capital markets, product market relationship, law and finance, financial accounting. Her research on supplier-customer relationship specific investments has been awarded the Fellowship Award for Best Doctoral Dissertation (2012) by the Chartered Financial Analyst Institute Toronto. 1. Chen, Z., Wang, X. (2017). Specific Investment and Supplier Vulnerability, Economics Letters, Volume 151, February 2017, Pages 16-18. 2. Wang, X., Wang, J., Johnson, L. (2016). Geography and capital structure, Canadian Journal of Administrative Sciences, forthcoming. 3. Chen, Z. and Wang, X. (2017) “Specific Investment and Supplier Vulnerability,” Economics Letters, forthcoming. 4. Wang, X., Wang, J., and Johnson, L. (2016) “Geography and Capital Structure,” Canadian Journal of Administrative Sciences, forthcoming. 2. Spillover effects from US class action lawsuits: Evidence from foreign firms cross-listed in the US (with Yi Ding, Louis Gagnon). Financial Management Association 2014; Northern Finance Association 2014. 3. Relative mispricing and cross-listing (with Yi Ding, Kee-hong Bae). Financial Management Association 2016; World Finance Conference 2016.